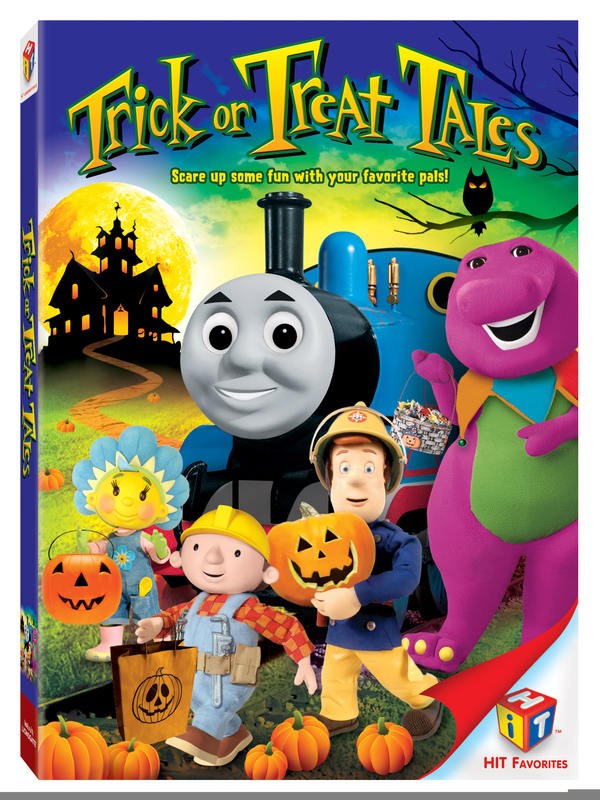 Gatherr round for not-so-spooky tales of adventure, learning and friendship with your favorite preschool pals Thomas & Friends™, Barney™, Bob the Builder™, Angelina Ballerina™, Fifi and the Flowertots™ and Fireman Sam™ in HIT Favorites: Trick or Treat Tales on DVD September 1, 2009 from Lionsgate and HIT Entertainment. With a fresh new look, brave and resourceful Fireman Sam™ tackles problems big and small in the all-new Fireman Sam: Help is Here! igniting onto DVD August 25, 2009 from Lionsgate and HIT Entertainment. In his first ever CGI adventure, everyone’s favorite firefighter teaches about fire safety, rescues those in need and demonstrates the importance of fire prevention. Fireman Sam – the only children’s firefighter-themed show – originally launched in the UK and made its U.S. debut on PBS KIDS SproutSM in October 2006, and continues to air daily. 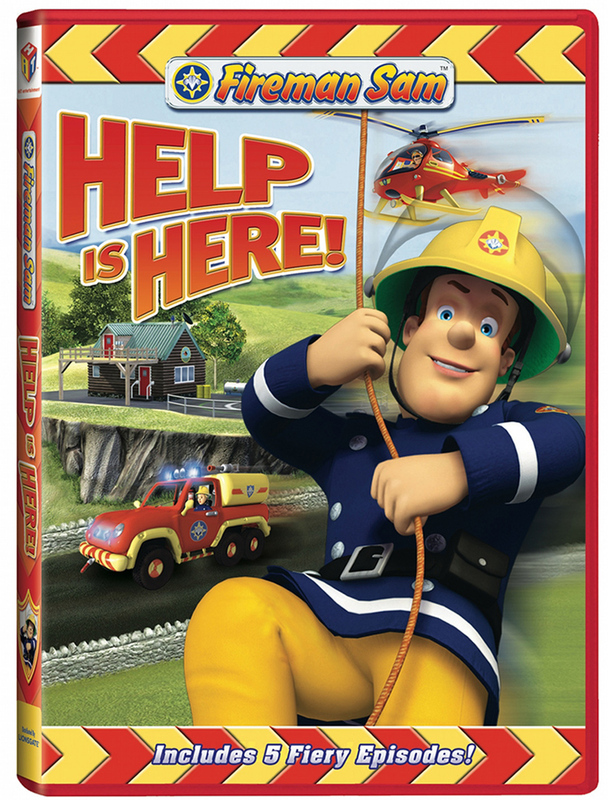 See Fireman Sam™ in action in this thrilling collection of firefighting adventures! Join Fireman Sam, Norman, Mandy and Radar as they make courageous rescues throughout the town of Pontypandy. Fireman Sam saves the supermarket on Fire Prevention Day, helps the rescue dogs find missing people, shares important safety tips and makes a daring helicopter rescue in the midst of a forest fire. Get a big scoop of fun with Bob the Builder™ and his machine team in the all-new Bob the Builder: Call in the Crew! available on DVD August 25, 2009 from Lionsgate and HIT Entertainment. Featuring never-before-seen episodes, the DVD is packaged with a free toy vehicle and is filled with action as Bob and his Can-Do Crew learn that good friends always work together to get the job done. Teamwork, positive thinking and problem-solving equip future builders with the right Can-Do attitude to tackle any project! DVD SYNOPSIS – Join Bob, Muck, Scoop and Roley, in 5 exciting, action-packed episodes! Watch and learn as Bob and his Can-Do Crew build a house, open a new café, fix an old gate and help a family of ducks. See how teamwork and fun go hand-in-hand in these building adventures. Submit your Rough Cut to Aniboom’s History Channel Competition and win $5,000. The first stage submissions period ends in less than two weeks. They are looking for the top five “Rough Cuts” (early-stage works ranging anywhere from basic sketches, storyboards, animatics to partial or full animations), which can be synched up to the free audio provided exclusively at Aniboom.com/History. The top five are awarded an automatic $5,000 so that they may be further developed into final animations. Those final animations then go on to compete for a $25,000 development deal and national television exposure. This is a great opportunity for you to showcase your style, win cash prizes, and show off your animation to millions. It’s simple—just download 30 seconds of exclusive free audio and show how you would animate it— sketches, drawings, and storyboards are all fully welcome! But don’t wait to the last minute—their servers get a bit overloaded when everyone submits all at once! With the first stage of this competition ending August 31st, now is your time to win a cool $5,000 and get on the road to your big break! Posted in Uncategorized | Comments Off on Submit your Rough Cut to Aniboom’s History Channel Competition and win $5,000. 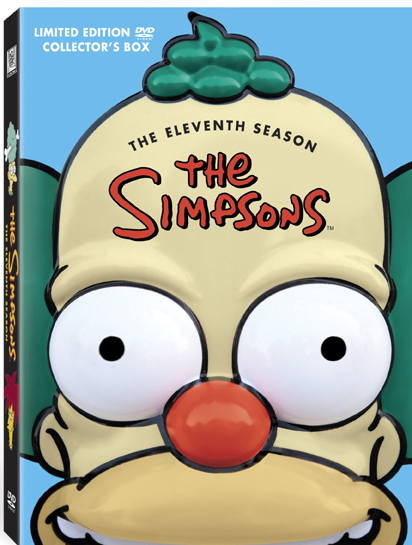 Homer, Marge, Bart, Lisa and Maggie return for more outrageous adventures when “The Simpsons” The Complete Twelfth Season arrives on DVD August 18 from Twentieth Century Fox Home Entertainment. The longest running animated series in television history, “The Simpsons” latest DVD collection features all 21 classic episodes from the 2000-01 season including Bart’s boy band odyssey in “New Kids on the Blecch” featuring pop sensations ‘N Sync and the hilarious less-than-ordinary day in-store for Homer, Bart and Lisa in “Trilogy of Error.” The season also boasts an impressive line-up of talented guest stars including Drew Barrymore, Edward Norton, Justin Timberlake, Stephen King, Andre Agassi, Pete Sampras, Roger Daltrey, and many more. “The Simpsons” The Complete Twelfth Season is loaded with special features including an introduction from Matt Groening; audio commentaries on every episode with Groening and “The Simpsons” Executive Producers, Writers, Actors and Directors; deleted scenes; animation showcases; original sketches; special language feature; featurettes and more. As an added bonus, the set comes in collectible packaging modeled after the overweight and over opinionated retailer Comic Book Guy. About “THE SIMPSONS” – Currently the longest-running sitcom on television, The Simpsons aired their historic 400th episode in May 2007, followed by the hugely successful The Simpsons Movie in July 2007. The critically acclaimed series features Homer, Marge, Bart, Lisa and Maggie Simpson who take traditional family life and turn them upside down. Exploding into a cultural phenomenon in 1990, The Simpsons has remained one of the most visible and marketable properties both domestically and internationally. The Simpsons is noted for its famous celebrity guest voices and received a Star on The Hollywood Walk of Fame in January of 2000. In Spring 2008 The Simpsons Ride opened at Universal Studios in Orlando, Florida and Hollywood, CA. This multi-Emmy Award®-winning series is currently in production of its 21st Season. The Simpsons is a Gracie Films Production in association with 20th Century Fox Television. James L. Brooks, Matt Groening, and Al Jean are the Executive Producers. The Gracie Films Licensing and Marketing Division develops and produces the DVD collection for the series. Film Roman is the animation house. Dr. Ed Greene, CQCM National Board member shares some recent news about the U.S. work with the Pyramid Approach to Early Learning from the Netherlands. The attached article was written during the recent study tour Dr. Greene conducted for Dr. Jef van Kuyk, the creator of the Pyramid Approach to which he was introduced by mentor and friend, Dr. Irving Siegel, several years ago. Dr. Siegel’s psychological distancing theory was an influlencial element in the development of the Approach. Much like other preschool classes might, they started the project by talking about what they know about plants and drawing pictures. But they didn’t stop there. They spent the following four weeks broadening and deepening the concept to include everything from parts of the plant and germination, to weather cycles and plants found in literature and music. GSU’s Lanette S. Suttles Child Development Center is one of the first in the nation to pilot this educational approach to early childhood learning. It’s called the Pyramid Approach and it is a new American adaptation to a Netherlands-based method of educating the whole child through sequential levels of thinking and learning. Georgia State began piloting the Pyramid Approach last fall and it will continue for another two years. The approach is also being tested at two nonprofit, community-based preschools – Sheltering Arms in Atlanta and the Jefferson County Head Start in Alabama. At the same time, Georgia State faculty will guide a research study of Pyramid’s effects at these centers. The study will look at teacher’s experiences with the curriculum, their success implementing it and the quality of instruction students receive. It will also evaluate the impact of the instruction on child development outcomes, such as the development of literacy, language, socio-emotional and mathematics skills, compared to existing approaches. Students in Georgia State’s Birth through Five year old undergraduate degree program will also learn about this international approach in their teaching methods class this fall. Pyramid is a total education approach where a child’s cognitive, physical, language and socio-emotional needs are balanced. The approach starts by introducing a child to a concrete idea and moving into more abstract understanding of the concept. Teachers are given detailed project books with clear steps to follow. The first two steps, orientation and demonstration, help a child learn through their senses, and the last two steps, broadening and deepening, lead a child to a higher level of thinking. These steps start close to the child’s experiences and gradually take distance so that children are able to develop the abstract representations they will need to be successful in formal schooling. One year into the pilot, teachers at the child development center say they are seeing results. The Pyramid Method is widely used in the Netherlands and is also internationally well known. Along with in the United States, pilot projects have started in Germany, Japan and South Korea. For more information, visit http://education.gsu.edu/ece/BirthThroughFive.htm or http://education.gsu.edu/ece/Child_Development_Ctr.htm. You are currently browsing the Granny Ranny's Coming Attractions weblog archives for August, 2009.